Use our hub pages as a reference to get up-to-speed on all the main digital marketing techniques. They will help you quickly understand how to make the most of the technique through definitions and recommendations on our member resources and blog articles covering strategy, best practices and the latest statistics. Social media have transformed marketing, for the better most would say. We'll help you make the most of the power of social media marketing using a strategic approach sharing approaches from the leading commentators and companies. See our latest blog articles on social media for our latest coverage of the tools and techniques. 3. Infographic: What happens in one minute online? 1. Set business goals for your social media - it's best not to experiment without a clear idea of how social media will support your business goals. 2. Create a social media strategy. A strategy will help you to deploy social media in the best way to reach your goals by prioritising on the channels in our RADAR which are most effective. 3. Active social listening and reputation management. Most advice on social media marketing strategies advises to start by listening to your conversations. We prefer the term coined by Brian Solis in his book Engage of "Active Social Listening" since this shows the need for a feedback cycle within social media marketing. 4. Define content and engagement strategy. 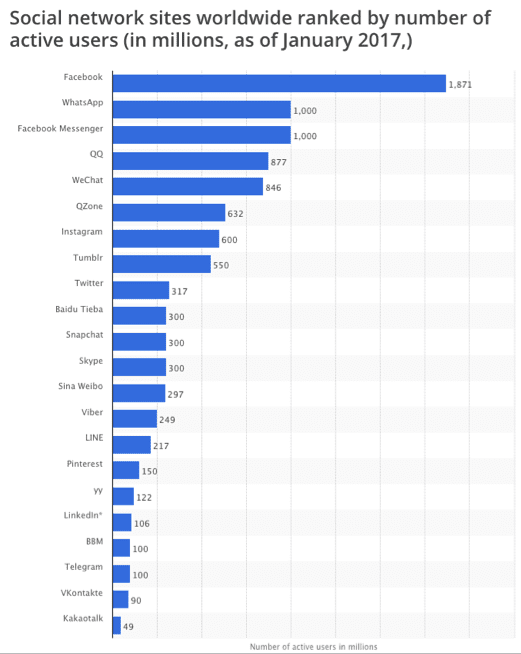 We've noted that encouraging engagement and participation are the biggest challenges to social media marketing, so clear strategies are needed to show how to achieve these. 5. Define communications strategy. In the social media era, a continuous communications strategy is necessary to engage your audience through the many channels available. Key issues here are defining the types of content value you offer through different social channels and the frequency. Integrating different digital channels including email marketing through a social media marketing hub is also a key issue here. 6. Deploy best practice approaches for the core social media platforms. Each social media platform such as Facebook, Twitter and YouTube has unique characteristics and audience needs. There is also a bewildering array of tools to deploy and etiquette to follow so you won't be seen as a spammer. 7. Social media optimisation. You may have a presence established, but this is only the beginning in your journey to optimise your presence to deliver real value for your business. Social media is the term commonly given to Internet and mobile-based channels and tools that allow users to interact with each other and share opinions and content. As the name implies, social media involves the building of communities or networks and encouraging participation and engagement. Their definition emphasises that we need to use different digital media channels to encourage our prospects and customers to interact to form communities. It also hints at the challenges of encouraging engagement. Digital marketing strategy: How to structure a plan? How does your digital marketing rate? Save on Expert membership with our time limited offer! How can Expert membership help me? 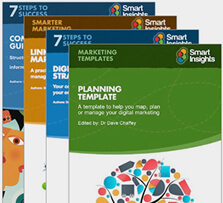 How can Smart Insights membership help me? Need help with your Social media marketing?